Understand your options for transferring credit to Evergreen. You may transfer up to 135 quarter hour credits total towards your degree at Evergreen. All transfer credit must be college level (100 or above), and may include Running Start or college in the high school. Up to 90 quarter hour credits may be lower-division (usually 100 or 200 level), and 15 quarter hour credits of your lower division transfer credits may be vocational-technical or personal development. Graduate-level credit (500 and above) does not count towards a bachelors degree. 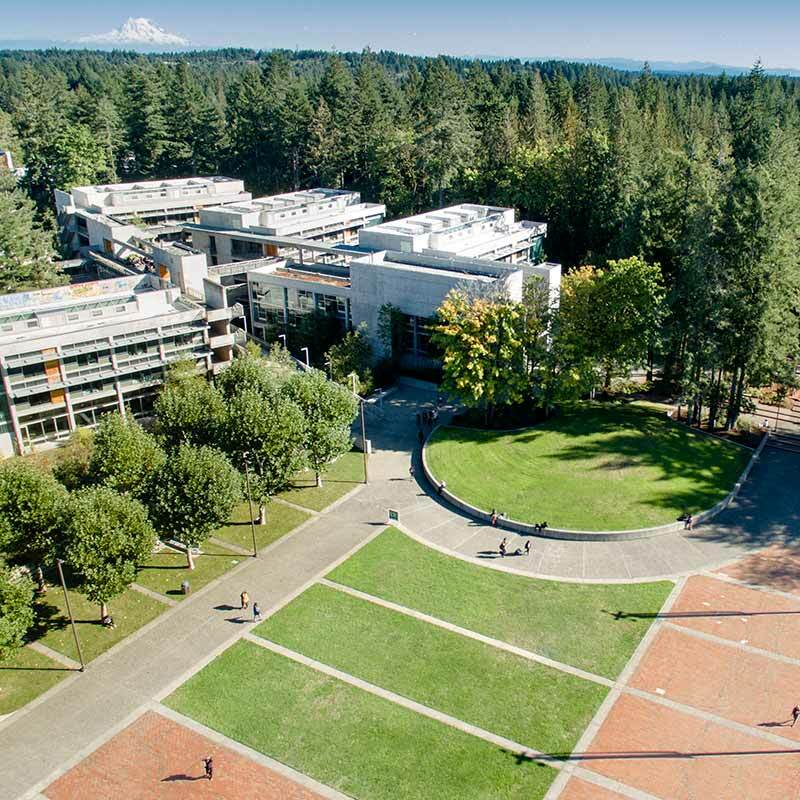 Evergreen requires 180 quarter hour credits for a Bachelors of Arts or Bachelors of Science degree (a Bachelor of Science requires 75 quarter hours in math, science, or computer science, 45 of which need to be upper division) or 225 quarter hour credits for a Bachelor of Arts and Sciences. You do not have to take any specific courses to graduate. See complete degree requirements. We use quarter hours, so we’ll convert semester hours into quarter hours. For example, if you have earned 24 semester hour credits: multiply 24 by a factor of 1.5 and it will equal 36 quarter credits. Official transfer credit evaluations are done after you have been admitted to the college and have paid the non-refundable $50 (US) advance tuition deposit. The advance tuition deposit is part of your first quarter's tuition. Also see Transfer Rights and Responsibilities (PDF) as a guideline for transfer students and for colleges and universities. Get a free, unofficial transfer credit evaluation. Visit us at a Washington state community college. If you have earned one of the following degrees, your credits will transfer as a block of 90 lower-division credits without the need for a course-by-course review. You will start at Evergreen as a junior. If you have earned one of the following degrees with a cumulative GPA of 2.5 or higher and with completion of college level composition with a C or better from a regionally accredited Washington state community college, you may be eligible for the Upside Down Transfer Option. You will be required to take 32 credits at Evergreen in an interdisciplinary program which is unrelated to your technical degree. If you have earned any other associate degree from a regionally accredited community, technical, or city college, you will need to have your transcript evaluated on a course-by-course basis. You could receive up to 90 transferable lower-division credits for your degree. If you have already earned a bachelor degree at another regionally accredited college or university, you will transfer 135 quarter hour credits. This is the maximum transfer credit award. Credits earned at a community, technical, or city college will transfer as lower-division credit. You may transfer a maximum of 90 quarter hours of lower-division credit. Credits earned at a four-year college or university will transfer based on their course level. Generally courses numbered 100-299 will transfer as lower-division credit up to the maximum of 90, and courses numbered 300-499 will transfer as upper-division credit. The maximum number of credits that can transfer of any level is 135. See the Washington State Transfer Degree Guides for information about specific courses offered at public community and technical colleges in Washington. The Washington 45 (PDF) is a helpful list of courses that will transfer to all Washington public colleges and universities on a course-by-course basis if your grade is a “C” (2.0) or higher. If you attended an institution that is not regionally accredited, you may request a review after you have been formally admitted and have completed 92 quarter hour credits at Evergreen. Submit a written request to the credentials evaluator in the Office of Admissions to have your course work from the nonaccredited institution reviewed. Evergreen will grant no more than 45 credits through this assessment. You are still limited to 90 credits of lower-division transfer credit, with a maximum of 135 credits transferred at any level. These courses must still meet the criteria for any transfer to Evergreen in level of coursework, grade achieved, and subject matter. The same limits on the number of credits transferred apply: no more than 90 lower-division credits from any source, and no more than 135 credits total from any source. Evaluation of prior experiential learning for transfer credit is always conducted after you have been formally admitted to Evergreen and are enrolled. Please review Prior Learning Assessment for more information.